Only two visitors at one time may visit a patient. Limit visits to 15 minutes. Absolutely no smoking is allowed in patient rooms or on the hospital campus. Please do not allow visitors to your room or the hospital who have colds, flu, other illnesses or communicable diseases. All visitors must wash their hands upon entering a patient room and upon leaving. No food or beverages are allowed in patients’ rooms without permission of the Nurse Supervisor. Do not handle equipment in the patient rooms. Refrain from loud conversations as a courtesy to other patients. Postpartum (Limited to 3 visitors at a time) 7:00 am to 9:00 pm. Visitation is not allowed for children younger than 12 years of age. Due to the critical nature of the patients in this unit, visitation is limited to thirty minutes. Limited to 1 person once patient is stabilized. Visitation is not allowed for children younger than 12 years of age. 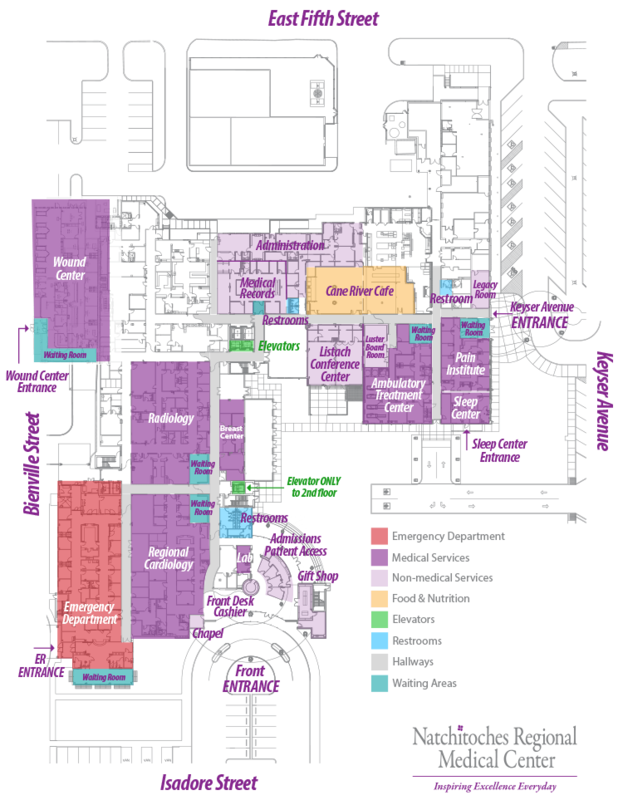 For patient privacy and confidentiality, Insights Behavioral Hospital uses a code system. Only those individuals with the patient’s assigned code number may visit. Visitation is not allowed for children younger than 12 years of age. For seriously ill patients, it may be necessary for a family member to remain with a patient during the night. Please speak with the nursing staff regarding any request to stay overnight in a patient’s room. For children, a patient must stay overnight. Each room contains a chair bed to use for overnight guests’ convenience. The nursing team can provide linens and blankets. A family waiting room is located outside of the surgery suite. The Hospital Guild volunteers in the waiting room and assists families while a patient is in surgery. In order to maintain patient confidentiality and ensure good communication from the clinicians to the family during the surgery or procedure, we ask that one family member be appointed as the point of contact for patient communications. This designated person will be allowed to visit the patient in the pre-op room and during recovery. The hospital cafeteria is open as a convenience to visitors and families of our patients. The menu varies daily, and every effort is made to provide great tasting meals at a reasonable price. Breakfast: Sunday through Saturday 6:15 to 10:30 a.m. Lunch: Monday through Friday, 11:00 a.m. to 5:00 p.m. Lunch: Saturday and Sunday, 11:00 a.m. to 3:00 p.m.
Refreshments and snacks are available 24 hours a day at the vending machines near the cafeteria. Beverage machines are located in the lobbies of each floor. Cleaning your own hands and asking those around you to do the same. Ask your loved ones to clean their hands, too. One of the best ways to stop the spread of germs is to use proper handwashing techniques to cleanse your hands with either a waterless hand sanitizer or with soap and water. Wet your hands with warm water. Use liquid soap if possible. Apply a nickel or quarter-sized amount of soap to your hands. Rub your hands together until the soap forms a lather and then rub all over the top of your hands, in between your fingers and around and under the fingernails. Continue rubbing your hands for at least 15 seconds. Imagine singing the “Happy Birthday” song twice. Dry your hands using a paper towel if possible. Then use your paper towel to turn off the faucet and to open the door, if needed. Clean hands are the first defense in the fight against germs! Thanks to the Patient and Family Advisory Council, hand sanitizing stations for hospital employees, patients, families, and visitors are located throughout the hospital. The goal is to reduce the spread of germs by conveniently locating them on each floor. Need to find your way around campus? Here’s a map for your convenience. Click to enlarge. NRMC hosts several events and seminars for patients and visitors alike. View our listing for more information.